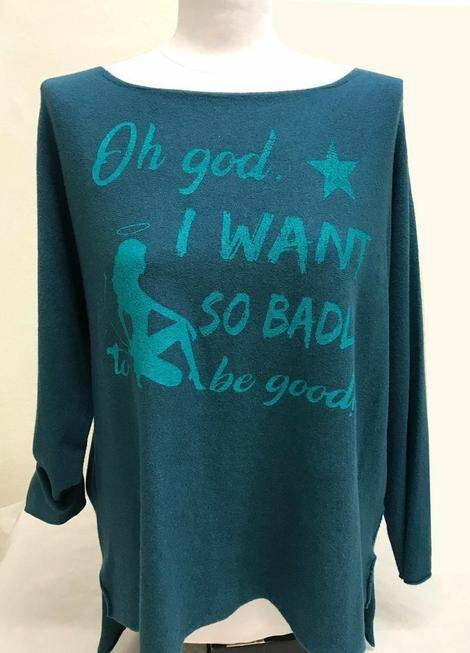 Kuschelstrick petrol "I want so badly to be good" - *allstores.de - social shopping! 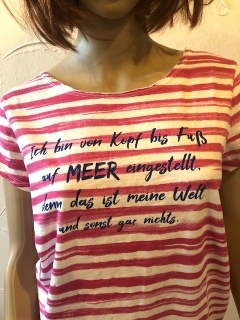 Kuschelstrick-Pullover aus Viskose in petrol, Druck in türkis. Pullover Made in Italy, lässig geschnitten.